Download the Global Mobile App or get The Solution™ now! 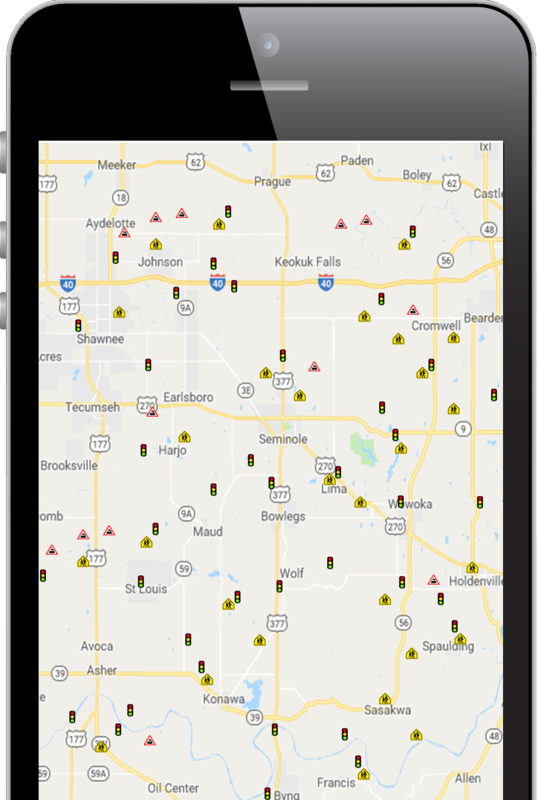 Global Mobile Alert offers leading-edge technology that delivers unparalleled insight into potential roadway hazards for a significantly safer and more aware driving experience. Available as the Global Mobile Alert app from Google Play and the App Store, or as The Solution™ for integration with partner systems, Global Mobile Alert’s innovative offerings form the foundation of the burgeoning vehicle-to-everything (V2X) market. 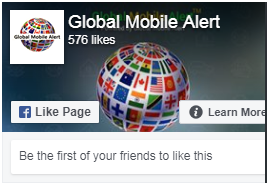 Learn More about Global Mobile Alert Corporation. 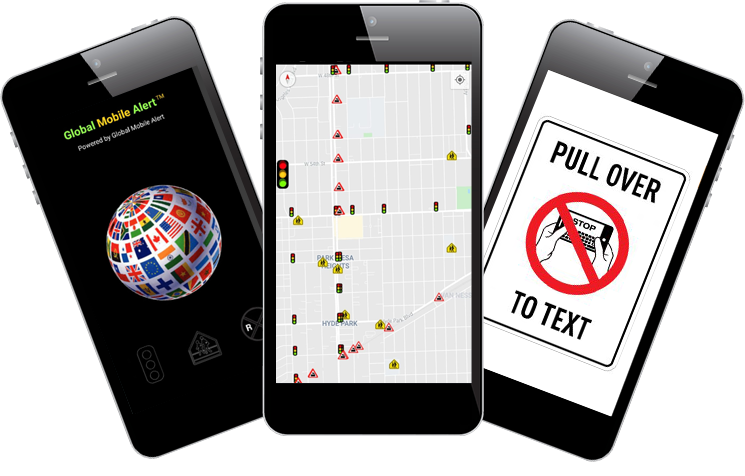 The Solution™ by Global Mobile Alert enhances Smart City technologies by connecting intersections, rail crossings, school beacons, emergency vehicles, and connected vehicle systems to generate map points and alerts, even while a voice call is in progress. 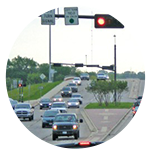 The Solution ™ connects intersections to allow remote control and monitoring of traffic lights while on a voice call. Remotely update timing plans and diagnose failures with The Solution™ . 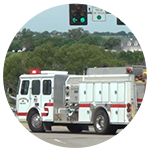 Our Cellular Telephone Safety System-based preemption system uses ground-breaking technology to help emergency responders arrive safely. Learn More about Global Mobile Alert’s technology and innovative solutions for drivers and vehicle-to-vehicle, vehicle-to-infrastructure, and Smart City partners. Available for mobile devices from Google Play or the Apple App Store, the Global Mobile Alert app alerts drivers of potential hazards for safer driving. It analyzes the mapped locations of traffic, school, and emergency signalizing systems to give drivers advance warning of changing conditions, even during an active voice call. 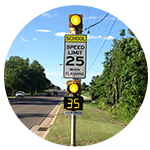 The Global Mobile Alert app seamlessly interfaces with your current navigation system and provides distracted drivers with the help they need by enabling a proactive alert that provides the driver a five (5) second alert warning at all traffic light, School zone and Rail crossing where data is available. 3. Where is the emergency vehicle coming from?